John O. Leer, 89 of Eau Claire passed away on Saturday, March 31, 2019 at the Chippewa Manor. John was born on October 9, 1929 to Benjamin and Inga (Froseth) Leer in Eau Claire. He graduated in 1947 from Eau Claire Senior High School and later graduated in 1953 from UW-Madison with a degree in Mechanical Engineering. While at UW-Madison, he joined the Naval Reserves and served for 8 years. After college, John worked for the federal government designing machine guns in Rock Island, IL. John married Carol Anderson on August 4, 1956 at First Lutheran Church in Eau Claire. He began working at Chippewa Plastics and worked for 10 years. After leaving Chippewa Plastics, John began his career at NSP beginning in 1965 and retiring early in 1988. During his time at NSP, John earned a degree in Professional Engineering. He enjoyed being a HAM Radio operator with the call K9XH. 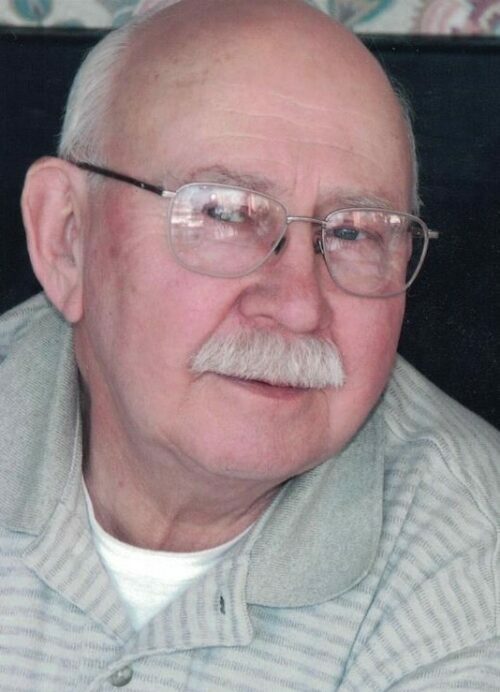 John was a member of Hope Lutheran Church for over sixty years and a member of the Lake Hallie Planning Committee. John is survived by his wife, Carol Leer of Eau Claire; children, Karen (Steve) Langenberger of Cape Coral, FL, Fredrick (Joni) Leer of Richland Center, WI, and Peter Leer of Eau Claire; grandchildren, Matthieu Leer, Melanie Leer, Joshua Leer, and Nathan Leer; sisters, Muriel Roach of Salmon, ID and Beatrice Meyer of Chippewa Falls; sister-in-law, Diane Stowe of Yantis, Texas; and several nieces and nephews. John was preceded in death by his parents; and three brothers-in-law. Funeral services will be on Wednesday, April 3, 2019 at 11:00am at Smith Funeral Chapel with Rev. Robert Hoekstra officiating. Visitation will be one hour prior to the service at the funeral home on Wednesday. Burial will be at 1:00 pm at Prairie View Cemetery. Friends and family may leave online condolences at www.smithfunerale.com. Karen and family: So sorry to hear of your dads passing. I’m thinking of you. Your old friend Brenda. Our condolences, John was indeed an interesting man who, while at NSP, did his part to ensure reliable powerful the region.